You have more than likely made it to this page because you have either just signed up for a marathon or are seriously considering it. Congrats on such a big step in achieving a really cool goal that not many people in the world accomplish! After signing up and committing to a 26.2 mile race, training is the next step and we think you have come to the right place. Our groups and expert coaches will prepare you to reach your marathon goals, healthy and happy! Each group will meet twice a week from June to October, learning about long runs, tempo runs, track workouts, easy runs, recovery runs, hydration, injury prevention, and much more. To safely meet your goal we do ask that you have a base level of running under your belt before joining this group. What does that mean? We ask that you are able to run/walk 8 miles at one time at the start of the program and are currently running at least 15 miles per week. This does not mean you need to be able to run the entire way but just that you are comfortable covering that distance. Are you not sure if you meet these requirements? Don’t worry ask the coach for your location! You will be surprised that most people meet these requirements and are able to join the group. Our fall marathon groups start June 15th and target the Baltimore Running Festival Marathon on Saturday, October 19th or any other marathon in the same time frame! Scroll down for specific training days and times at your location. Check out the meeting dates and times for the training location closest to you. Info sessions will be held in the weeks leading up to the start of training to address your questions and explain the program expectations. All info sessions are held at the corresponding Charm City Run shop. To sign up for an info session, please scroll down to fill out the form below. Where will we run? Groups run from their “home base” Charm City Run shop in addition to tracks, trails and other local meeting spots in the surrounding area. 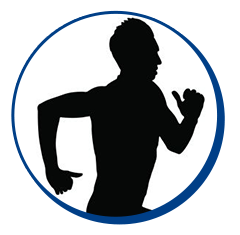 We will be offering a virtual training option for the Fall Marathon Training Program. This program is perfect for those who live out of state or aren't able to make the training sessions from the stores. This group will follow the same training plan as the other groups using the online platform and app Final Surge. To learn more about virtual training, please click below. To register, select "virtual training" as your location in the box above. scroll up to register for a training group! Want to learn more about our next Full Marathon Training program and meet your coach? Sign up for an informational session at your closest Charm City Run location. Each session will take in the weeks leading up to the start of the program. Come with your questions! Are you new to Charm City Run Training? * Yes - I am new to CCR training! No - I have trained with CCR before. Do you have a question about our full marathon training program? Submit the form below and our training director will get back to you. Brooks is the proud sponsor of all Charm City Run training programs.